Regardless of how or where we choose to give, most of us would like to feel confident that our financial donations are being used wisely. Thanks to technology and some out-of-the-box thinkers in the social sector, we now have a bevy of new tools at our fingertips and excellent educational resources that will guide our giving in a smart and purposeful ways. 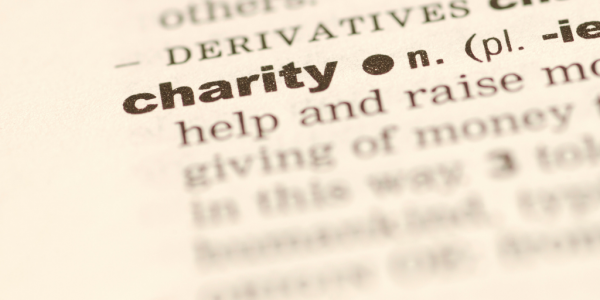 Until recently, most guidelines for charitable giving recommended that we spend time researching charities and then select from those that limit overhead to less than 20 percent of their total budgets. However, many experts now question these criteria because expense ratios alone provide a limited perspective of a charity’s value and effectiveness. In contrast, organizations that analyze charities are increasingly evaluating non-profits based on how well they are delivering on their missions. To accomplish this goal, rating systems need to go beyond number crunching and bottom line analyses to include subjective criteria as well. To collect feedback that helps both donors and nonprofits better understand the effect of the nonprofits’ activities on the ground in the local community and to bring the highly-reviewed nonprofits, as rated by their local community, to the forefront. MyPhilanthropedia.com also offers a new way to evaluate charities based on survey responses of qualified experts. Each group of experts includes foundation professionals, researchers, and others who have an average of 8 to 20 years of experience in their sector. The experts recommend nonprofits based on their impact and other organizational strengths, but are not allowed to recommend the organizations with which they are affiliated. There are no hard and fast rules about how much giving is the right amount. This has to be a personal decision, but it often helps to know what others are doing and how they make their donation decisions. While everyone’s situation is unique, consider this simple formula for deciding your annual contribution. Your income may rise and (hopefully not) fall, so no need to stick to a fixed annual amount. What about donating 1% of your annual income to the causes you care about and the organizations that are doing the best work in those areas? You can set up a monthly recurring payment to provide consistent support that is always within your budget. Only 1% is not that much, but it can make a big difference. 20% for impulse gifts – disaster relief, to support a friend in a fundraising drive, items at a fund raising event, or something you’ve never considered giving to before to see if the organization is a good fit for your major giving category. This fund allows you to just say yes! Bolder Giving’s mission is to inspire and support people to give at their full lifetime potential. To this end, this organization does not suggest where to fund, but rather gives donors a hand with the complex, long-term journey of becoming effective, passionate, deeply-committed givers. In addition, Bolder Giving has recently launched GivingCommunities.org, an online resource created to assist in matching individuals with like-minded peers who share the same philanthropic interests, values, circumstances, and passions.